NewBold PlasticCards is a proud member of ICMA. PlasticCards is one of the largest blank plastic card manufacturers in the United States. We use “state-of-the-art” plastic card automation equipment and manufacturer to ANSI standards. Our formula for “superior card construction” begins with high quality raw materials and industry proven manufacturing processes. 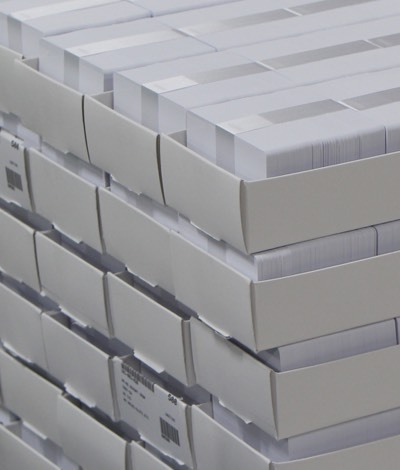 Then PlasticCards must pass multiple inspection points throughout production, from collation and lamination, to card punch, secondary stations down to packing. PlasticCards is proud to serve some of the most distinguished names in the plastic card industry. You can depend on our blank cards for your printed products. We are also the platform for identification and licensing projects around the globe that demand high quality and durability. PlasticCards is a trusted supplier for an integrated reseller network as well as for print shops. Whether your company is an international supplier or a small town business, we stand ready to support you. PlasticCards are certified by top thermal printer manufacturers in the industry. To achieve this certification, we must meet stringent quality guidelines as set by ANSI standards. Thermal printers used for multi-level identification and security projects are expensive investments. Inferior cards equate to costly printer repairs. We offer a premium card surface for thermal imaging and our cards are the qualified media for a full range of printer types and models. We are the quality leader that printer OEMs depend upon. Your short and long run printed products start with a blank card. 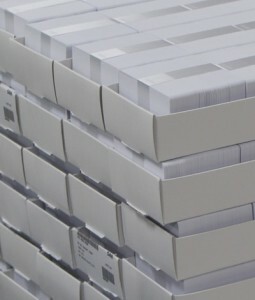 PlasticCards are stocked by some of the largest commercial printers in the market. Our constructions offer superior print quality for your gift and loyalty cards, hotel entry cards and more. We manufacture a wide array of colors, with and without magnetic stripe, to meet your stock requirements. We love to help you earn award-winning business! PlasticCards are stocked by the global reseller network. These partners range from industry leaders to small business owners. We provide a premium quality product at a competitive market price and the best service experience possible. Based on this commitment, we consistently receive high scores for product quality and support. Our customers arrange from distributors down to storefront resellers. We stand ready to serve you with the same high quality products. Click here for information regarding NewBold Corporation and its other divisions in the retail, healthcare and embossing industries.